Forget the scary hyenas you’ve seen in The Lion King. 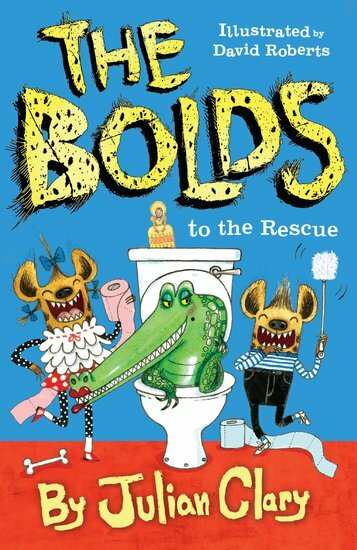 The Bolds are the friendliest hyenas in town! And we do mean a town. These hyenas don’t live on the African prairie. They live like humans, in a suburban house. Here are a few things to know about the Bolds. 1) Tell them a joke. Like all hyenas, they love laughing. 2) They’re pretending to be humans. But pssst – don’t tell anyone. 3) They’re so nice they can never turn away a needy critter. That’s why’s there a crocodile in the loo and a sheep in the front room. But when two racehorses come to stay, is the Bolds’ secret about to get out?